having right and relevant collaborations, marketing channels, sales channels and distribution network is key to reach target customer in an effective manner. We support businesses in communicating with the correct audience for the brand. 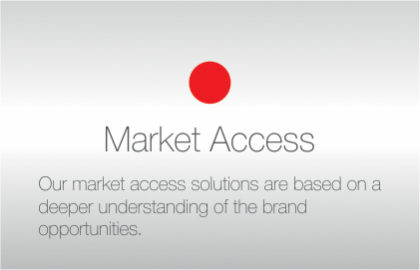 We help in creating brand awareness, brand communication and brand relevance in the market. We also support the ventures in collaborating with various online, offline, B2B, B2B2C and individual entrepreneurs based sales channels which can take the offerings in the market faster. It also boosts the education based marketing and last mile sales in a personalised manner. if you are from the industry and having right experience in your domain, then connect with us. We will connect you with relevant ventures which are looking forward to have mentor like you in their growth story. “today businesses are crossing boundaries through internet in altogether a different manner. The today’s methods are faster, efficient, data driven and consumer behaviour driven. We in eustan build the expertise regularly to keep our partners aware of all latest technologies in expanding their business globally. we welcome all experts, think tanks and trend setters to collaborate with us so that many new avenues can be provided to the next leaders. Building leaders across the globe requires multicultural experience. In eustan, we have that network to support businesses in various geographies, cultures & markets. our experts club is dedicated to support and guide the ventures for their mission critical issues. Become part of our program, bring your expertise on the board. We will share a most rewarding venture based upon your interests and expertise. we organise specialised events to enhance your leadership and expertise. Learn from the veterans, and industry leaders on how they are thinking on the next level of solutions. It helps in updating and sharing the skillsets with like minded professionals. once you are a engaged in our experts program, we provide various projects and consulting roles in the ventures we are working with. Your expertise is of very much importance for the leaders in their ventures.